‘For the Love of Life’ is at Margarita Blue a Valentine’s special on 14 February commencing at 7 p.m. onwards with tickets priced at Rs. 2,000 (redeemable). Prizes and surprises are powered by Kiss FM. Tickets are available at the Lobby Bar from 7 February. Celebrate Valentine’s with those you love. Hang out with the guys or make it a girl’s night, socialise with your gang or toast the love of your life on this day. 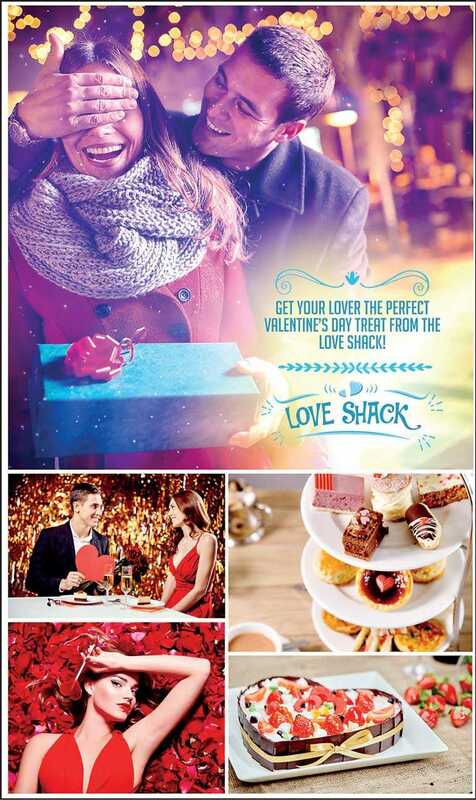 Commencing from 10 to 14 February at the Lobby is the Love Shack from 8 a.m. to 10 p.m. Select from the most romantic selection of cakes, cookies, chocolates and French pastries specially done for Valentine’s. Get a personalised cake for your loved one. ‘Heart to Heart High Tea’ is at the Lobby Bar on 10 February from 3:30 p.m. to 6 p.m. Indulge in a delightful selection of Valentine inspired High Tea treats. Valentine’s lovers are in for a special treat as the hotel offers a ‘Photo Booth’ at the Lobby on 14 February, from 8 a.m. to 10 p.m. This will be a one-of-a-kind experience that will add an unforgettable memory to your special day. Get your photo taken with the one you love. ‘Romance at the Grill’ takes place at the hotel’s fine dining restaurant the California Grill on 14 February, 7 p.m. to 11 p.m. Prizes and surprises and music by Mignonne, Russ and Suraj Trio. Experience a romantic dinner at Galadari Colombo’s esteemed fine dining restaurant the California Grill. The perfect five-course menu and the musical vibes that will make for an unforgettable evening. ‘Be My Valentine’ takes place at the Coffee Shop on 14 February, 7:30 p.m. onwards with live music by KISMET and Effex DJs prizes and surprises. Dance the night away with the one you love or enjoy with friends or family the ultimate Valentine’s experience.